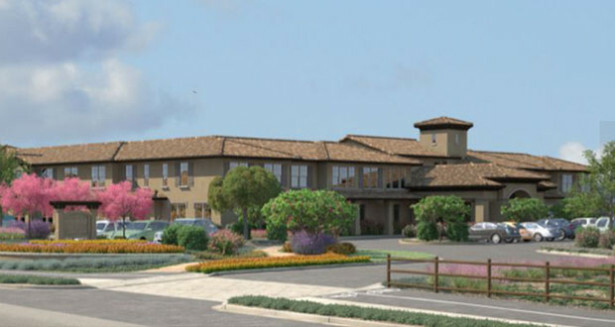 About three years after Oakmont of Santa Clarita opened its doors, Oakmont Senior Living officials announced a second community will be coming to Valencia with an added focus on memory care. The new community, located on Copper Hill Drive just before Tesoro near Rio Norte Junior High School, is expected to be a reverse “footprint” from Oakmont of Santa Clarita, as it will be heavier in memory care space and lighter on assisted and independent living. Loosely scheduled to open around summer of 2019, Oakmont of Valencia’s next step is to have an informational trailer at the site where the public can visit and take part in informational luncheons, according to Veis, who is set to transition to the new community. “Some of the team is going to stay together, some are going to stay at Santa Clarita and keep that amazing community what we built it to be,” said Veis. Oakmont is a luxury senior living community in Santa Clarita located on seven acres of land on Newhall Ranch Road. Recently opened in January 2016, Oakmont of Santa Clarita is comprised of 80 pet-friendly apartment units, with both independent and assisted living options available. Residents can enjoy five star amenities like a salon & day spa, movie theater, fitness center, restaurant-style dining, gardens and walking paths, pet park, wellness center and more. A separate wing of the community, called Traditions Memory Care, is dedicated to meeting the specialized needs of seniors with dementia and Alzheimer’s disease.